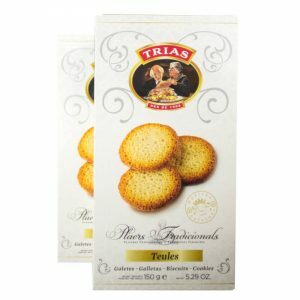 Trias is a biscuit company from Barcelona, famous for their wafer and tuile biscuits. 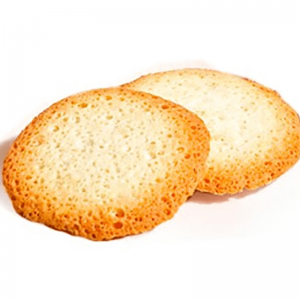 These light crispy almond tuile biscuits are very tasty and perfect with a coffee, in a dessert or with ice-cream. Tuiles (or Teules in Catalan) translates as roof tiles, because of their shape! 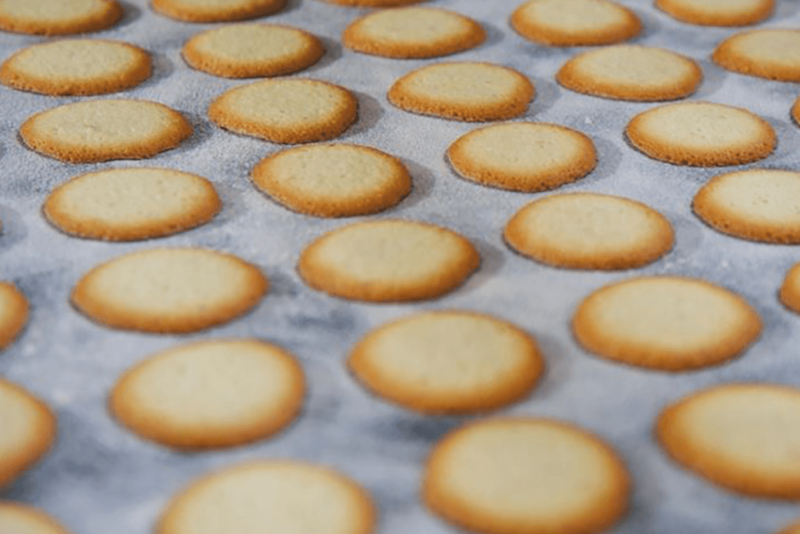 INGREDIENTS: Sugar, wheat flour, almond (25%), egg yolk pasteurised, egg white, salt, anise. 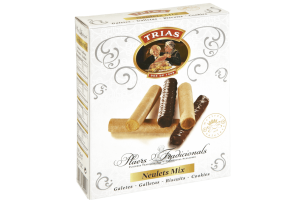 ALLERGENS: Contains wheat (gluten), eggs and milk. STORAGE: Store in a cool dry place. 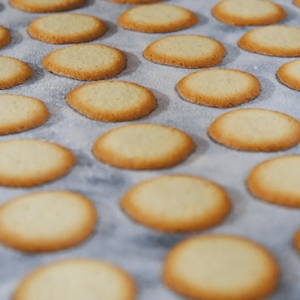 Once opened, store in airtight container and consume within 7 days.